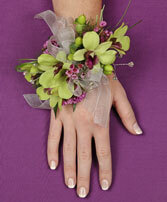 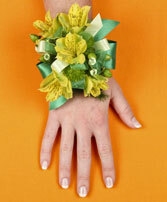 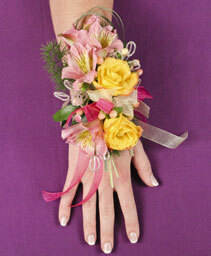 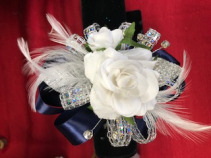 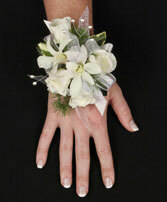 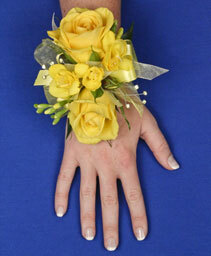 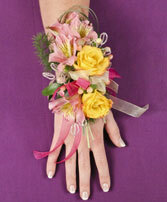 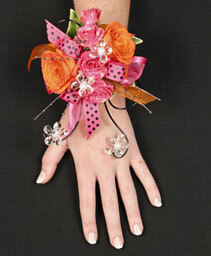 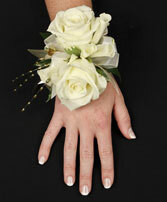 BEAUTIFUL SILK WHITE ROSE WRIST CORSAGE WITH DOUBLE RIBBON AND SONES. Choice of ribbon colors with white silk roses, feathers and stones on a black slap bracelet. 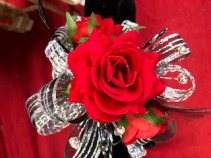 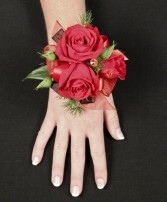 BEAUTIFUL SILK RED ROSE WRIST CORSAGE WITH DOUBLE RIBBON AND SONES. 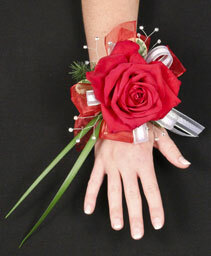 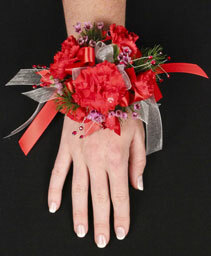 Beautiful silk red rose wrist corsage with double ribbon, feathers and stones on a slap bracelet. 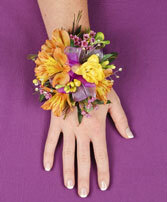 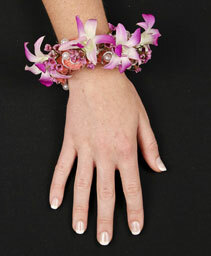 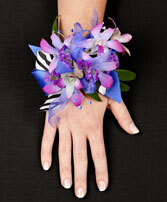 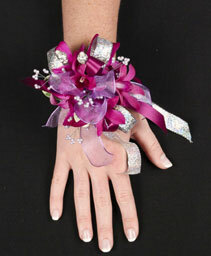 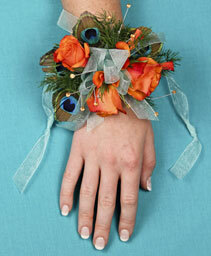 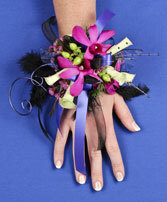 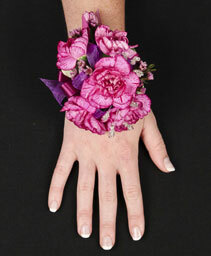 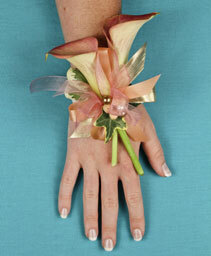 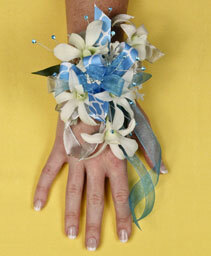 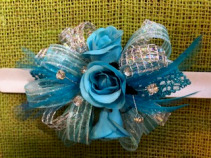 Beautiful silk wrist corsage with blue silk roses and double ribbon, feathers and stone on a slap bracelet.